Illingworth Girls Rugby League… Players Wanted! Illingworth Girls are looking for old and new players to come and try a FREE rugby league coaching session. Thursday 6pm – 7pm at Illingworth Sports & Social Club. 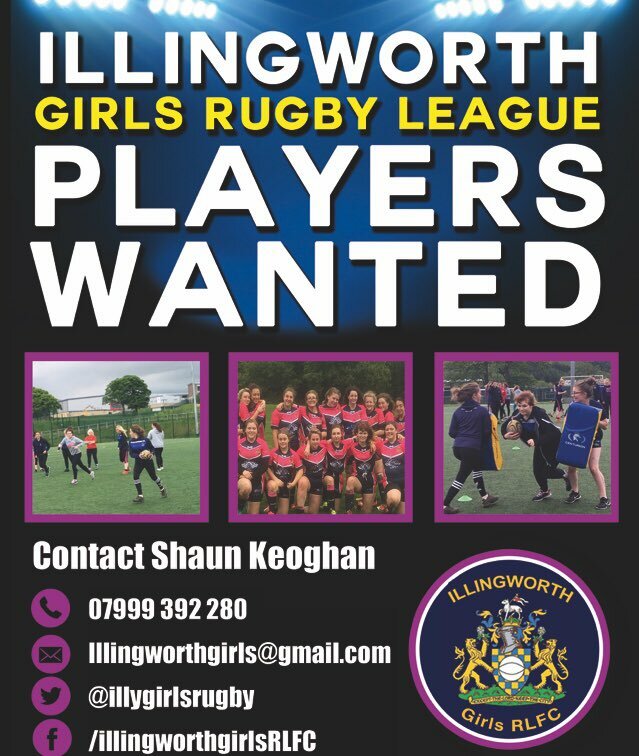 If you are interested or would like further information please contact Shaun Keoghan on 07999 392280, via email at illingworthgirls@gmail.com or on twitter @IllyGirlsRugby. Check out the Illingworth Girls Rugby League website here.